Whether an athlete is faced with external pressures, is involved in an aesthetic or weight class sport, or is conforming to the norm of their sport culture, athletes face complex risk factors associated with increased body image concerns and eating disorders. Many providers treating athletes may feel conflicted regarding the role of exercise within eating disorder treatment and may disallow the activity altogether. Although exercise restriction is appropriate and medically necessary for some, it can, unfortunately, lead many individuals to feel dissatisfied with the recovery process. My biggest concern with the device is that it gives the instruction to move without explaining why moving is important. Although there isn’t an official screening tool or standardized diagnostic criteria to assess for orthorexia as of yet, it can be helpful to take a look at this condition from both the mental health and physical health points of view. Here are a few things to consider if you're wondering whether or not your eating patterns have become problematic. “Athletes are at 2 to 3 times increased risk for developing an eating disorder compared to nonathletes,” said Paula A. Quatromoni, DSc, RD, the chair of health sciences at Boston University who helped create GOALS, an eating disorder treatment program for competitive athletes at Walden Behavioral Care in Waltham, MA. While many people living with orthorexia may report that it started off as a positive way to improve their health, for those who have the biological, social and psychological precursors for developing an eating disorder, these seemingly innocuous lifestyle changes can actually have very opposite effects. While one’s BMI should never be ignored, it isn’t a comprehensive marker for assessing an individual’s health. Bulimia impacts millions of Americans – estimates show a lifetime prevalence of 1.5% among all females and 0.5% of males. One hallmark symptom of underfueling and overtraining in the female athlete however, that cannot and should not be missed, is a change in the menstrual cycle. 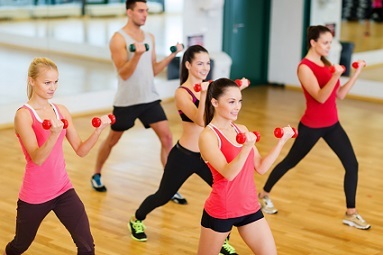 While many who participate in organized sports reap the many benefits such as increased self esteem, connectedness and greater body image, others have a different experience. Pressure to perform and compete at high levels can place undo stress on those who might be at risk for mental health conditions including eating disorders. Orthorexia is a condition marked by an extreme fixation over the quality and purity of food. Athletes & Eating Disorders – When Can I Exercise, Again? While there is no "one-size-fits-all" approach in determining when / if someone struggling with an eating disorder could return to exercise or their sport, here are some of the criterion we use to help determine the appropriateness of incorporating exercise back into the life of an eating disorder patient. I Was a Competitive Athlete with an Eating Disorder. Here’s What I Did About It. My name is Andrea. I’ve been an elite, competitive runner for almost 20 years. I was a Division I scholarship athlete who became an All American and a national record holder in college. I also developed an eating disorder. Learn more about Matthew and GOALS, our specialized treatment program for athletes struggling with eating disorders. Eating disorders happen in all sports, to athletes of all ages, competitive levels, body types and genders. Most worrisome, they can be difficult to detect, even by the most seasoned athletic trainer, coach or concerned parent. So how much exercise IS too much exercise? Here are 10 universal warning signs that could be indicative of an exercise addiction.